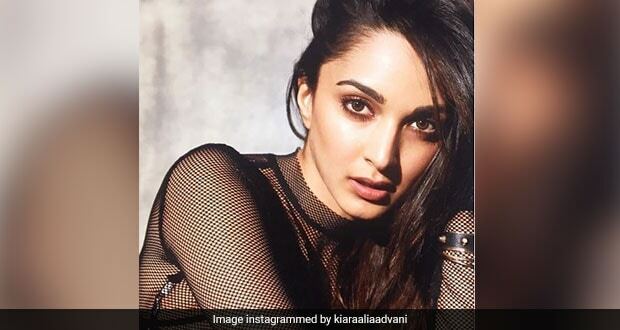 Here's a sneak peak into the fitness regime of Kiara Advani, the actress who gives major fitspiration by posting her workout videos on Instagram, quite regularly. The very dazzling Kiara Advani marked her debut in the Bollywood industry with the film Fugly and has seen a sharp rise in her career ever since her promising performance in Netflix series Lust Stories. What's more is that Kiara seems to be passionate about one more thing apart from acting: fitness. With more than a million followers on Instagram, Kiara makes sure that she inspires her fans with her fitness routine - which is an amalgamation of weight training, kick boxing and numerous other workout routines. In the video below, we see Kiara mastering pull-ups like a complete pro. Pull-ups are a great strength training exercise which is done by using your own body weight. The exercise helps in improving functional strength, posture and alleviating back pain. Doing pull-ups regularly can help you have a better looking physique. Well, pull-ups might just be the secret behind Kiara Advani's perfect body shape! When it comes to achieving a fit body, you need to work out on your muscle strength and overall strength. Cardiovascular exercises are important to achieve a fit body. So here is Kiara doing burpees, an exercise which helps muscles get stronger. Burpees work on your core, chest, arms and buttocks. Doing burpees regularly will help you burn more calories and will also improve your strength. Kiara Advani is someone who doesn't like compromising on her workouts in between shoots. Working out with her fellow co-stars is something that she doesn't shy away from. Check out the video below to see Kiara working on her abs. Also read: Belly Dance, Pole Dance And Pilates! Secrets Behind Dilbar Girl Nora Fatehi's Toned And Flexible Body, Revealed! 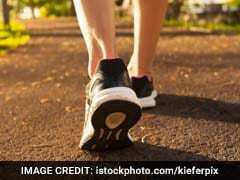 Introducing a number of exercises in your workout helps in making exercising more fun and engaging. Plus, the benefits derived from each exercise are going to be different. Here, Kiara is doing kick-boxing - an exercise which helps in reducing stress and gives a boost to confidence levels. It is an ideal cross-training workout which gives a major boost to energy and burns calories. To increase strength and stamina, Kiara Advani does all it what it takes. Click on the video below to know how the actress challenges herself for this legs and abs routine. Keeping up with @sohfitofficial #Repost @sohfitofficial with @get_repost ・・・ Nothing like some competition to get the adrenaline going. Great work getting through today @kiaraaliaadvani! Also read: Gymaholic Hina Khan's Fitness Videos Will Leave You In Awe Of Her! What better exercise than planks for getting well chiseled abs? Kiara does the perfect planks here. Planks is a full body exercise which helps in improving balance, posture, stability and core strength. Kiara Advani's workout regime is enough motivation for all of you to head to the gym for a vigorous workout. We wish to get more fitspiration in future,, dear Kiara!